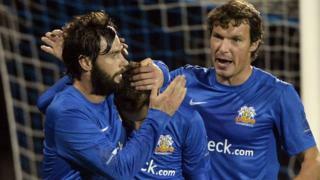 James Singleton scores a late winner for Glenavon after a keenly fought Premiership encounter against Warrenpoint Town at Mourneview Park. Warrenpoint led twice during the game thanks to goals from Ruairi Devlin and Johnny Breen, but Gary Hamilton and Kevin Braniff conjured up equalisers for the Lurgan Blues. 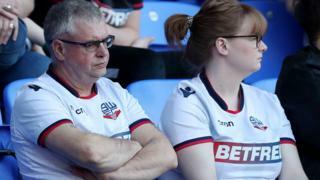 Town's Mark Hughes was sent-off in injury-time to compound the visitors' disappointment.